We are giving away a ticket to our next wine dinner here at Aroma Thyme. But we need your help. Don't worry it's simply. We just need some of your ideas here at Aroma Thyme. We do wine dinners every month with different wineries and themes. We want to hear what your favorite wine region, grape or winery is. If we take your idea and use for a wine dinner then we will give you at ticket to our October 29th Dr. Frank wine dinner. Click here for more info on this wine dinner. 1. 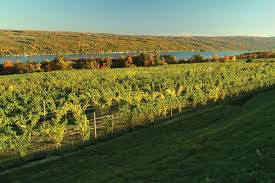 Your favorite wine region, grape varietal or winery. 3. The best way to contact you, e-mail or phone number.